Flowers : If every flower tells a story, this template is designed to tell the stories of every flower! 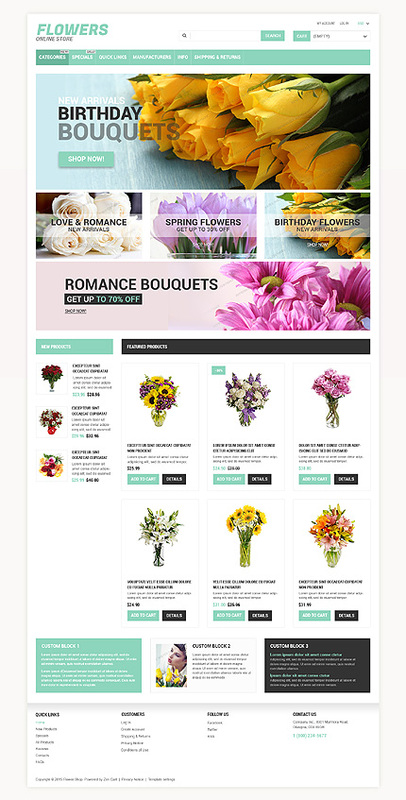 If you are a florist or want to start you online floral shop, this template might be an excellent start to boost your image. This template is elegant, beautiful, attractive and colorful. Bonus with every purchase With each template purchase you get Free Web Design Elements: photos, fonts, icons, 3d models, sounds. Buy template 53757 from zeronese today and get access to the Free Clipart & Free Web Design Elements library.